Brief Synopsis – Over five days in 1996, a reporter interviews a renowned author and their time together will change both of their lives. 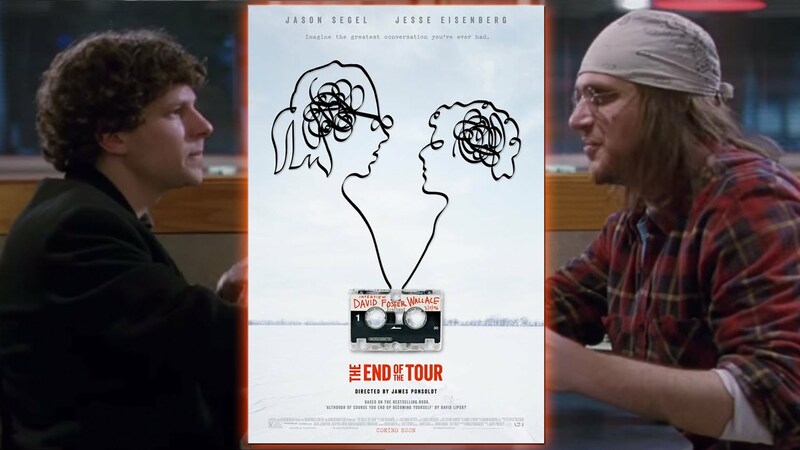 The chemistry between the two main characters played by Jesse Eisenberg and Jason Segal is so good that one wishes that you could have been present during the real conversation almost twenty years ago. The idea of two people who only know each other superficially but manage to learn so much about the other one and about themselves after just a few days. Ultimately, the conversations deal with big questions like the meaning of life and how different people deal with their problems and failures in order to be a better person starting the next day. Great to be able to eavesdrop on such a momentus conversation that really happened. Bottom Line – Interesting story about two strangers opening up to one another over the course of a few days. Segal and Eisenberg both do wonderful jobs portraying these two diverse personalities. It quite amazing that an intriguing conversation can be used to create a plot for a movie and it works well here because of the chemistry between the two main characters. Recommended!